Dental health is a crucial aspect of a dog’s overall health. Dental illnesses can cause serious or life-threatening complications in your pet’s kidney, heart, and liver. Though it is best to begin early, it is never too late for you to start your buddy on a preventative plan. It is quite easy to keep your dog’s teeth healthy and strong, but it may seem overwhelming at first. A trusted pet supplies store in Dubai shares how to keep your pet’s teeth strong, sparkling, and healthy at all times. Dogs naturally chew. Chewing can greatly benefit your dog’s oral hygiene. Chew toys can provide friction along the gum line, and can also act as natural flossers. Make sure to give them the right chew toys in the appropriate shape and size. Whenever their chew toys are worn out, replace them immediately. If you have aggressive chewers, give them durable bones and toys. But if they have sensitive teeth, consider giving them softer chewing materials. Give the toy after every meal. Also, encourage them to chew on it for a longer period of time for it to scrape and clean their teeth. Dogs, like humans, will also benefit from brushing their teeth regularly. They develop plaque and tartar, leading to more serious dental issues when left alone. Brushing your dog’s teeth on a daily basis is safe and highly recommended. But if this is not possible, brushing must be done at least once a week. Opt for a brush that is safe and comfortable for your pet. 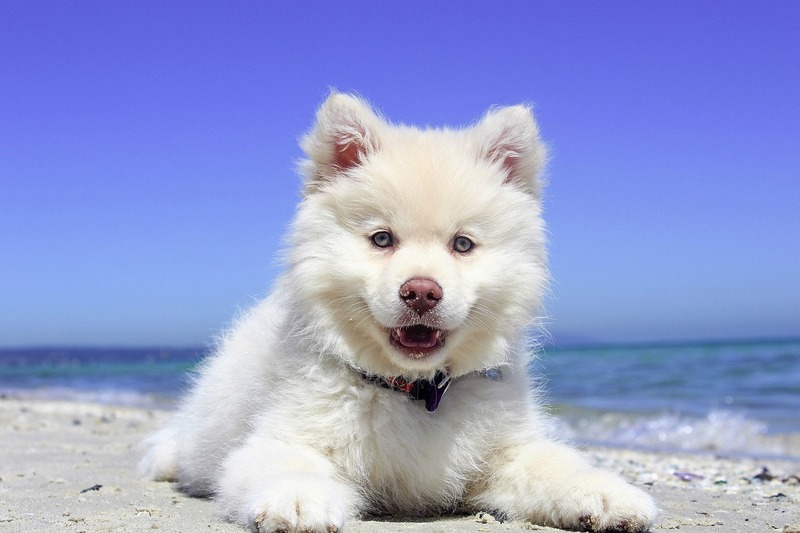 Moreover, make sure to use toothpaste and rinses that are formulated for dogs. Do not use human toothpaste because it contains fluoride, a toxic substance for dogs. When brushing your canine’s teeth, check for debris and food particles that might have been caught in the gums. Also, watch out for any signs of tooth decay. Remember that training your buddy to accept brushing as a routine will take time. Regular cleanings will help control plaque and tartar buildup in your dog’s teeth that regular brushing can’t remove. Reputable vets recommend that your buddy receive professional cleaning and an oral exam at least once every year. Dental cleaning will provide a deeper cleaning of bacteria that may have proliferated below the gum line. Vets will anesthetize your furry friend to perform a thorough cleaning. Speak with your vet about the importance of dental cleanings and how the procedure is performed. Diet can be a huge factor in your dog’s overall health. Feed your pet nutritious food. A feeding guide like the Eukanuba feeding chart can help. If dental health is an issue, consider giving them specially formulated foods that won’t crumble easily to wear away tartar and plaque with chewing. Speak with your vet prior to making any changes to your canine’s diet. And since dogs eat just about anything, make sure that they do not have easy access to yard debris, trash, or anything that they should not be munching on. Similar to chew toys, dental treats will also promote good oral health through chewing. Thus, it can help reduce tartar and plaque buildup. Give your dog the right-sized product and observe how they react after you give them the treat. When they wolf down the treats, said treats are not effective and shouldn’t be used. But when your dog spends several minutes chewing on them, then the dental treats may be considered a great option. A soft chew made of a beef hide is a good dog treat. It has a fibrous texture that will help remove dental plaque and debris during chewing. Remember though that dog treats are not snack foods. Thus, they must not be eaten in abundance. Preventative care is not always enough. Excess drool, bad breath, and swollen gums are some of the signs of a possible dental problem. So whenever you notice these symptoms along with abnormal chewing, visit your vet immediately. It takes a lot of effort to prevent dental issues in dogs. By making dental care a part of your daily routine, you can ensure your dog’s oral health. In turn, this will help minimize expensive dental treatments at your vet’s clinic. Most importantly, caring for their teeth will help them lead a fun and healthier life.